Are you ready to break through the barriers and obstacles to your career or business? Then it is time to get connected. Monthly Mastermind groups help you get connected, and get assistance with all areas of your professional life. Each month you can get assistance with all areas of your business and professional life encompassing marketing, business development, customer service, social networking, relationships, networking, public relations, dealing with conflict, writing, sales, and web development. Each meeting you will be given time to get specific assistance on a specific area... you need. If you are looking for help, or looking to bounce ideas off of others, or looking for some resources that will help you be successful.. now is the time. This is a time to connect with other business professionals and get the assistance you need for success. 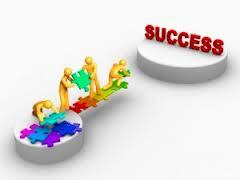 Research on business success tells us that those who are successful found others to help them. Mastermind groups do exactly that. Registration is required. New groups forming. Each group has a limited number of participants. Low Investment of only $15.00 per month. all calls are recorded and can be down loaded after the call.